August 14, 2018 // Franchising.com // (Dallas, TX) Dickey's Barbecue Pit offers barbecue lovers across the nation the option to enjoy Dickey's Texas-style barbecue from their home or office. From lunch for one to dinner for the whole family, Dickey's delivers for any guest's needs anytime, anywhere. "At Dickey's, we pride ourselves on catering to our guests' needs and our new delivery options do just that," says Laura Rea Dickey, CEO of Dickey's Barbecue Restaurants, Inc. "We have served delicious, slow-smoked barbecue for the past 77 years and now we look forward to serving our guests in new and innovative ways." 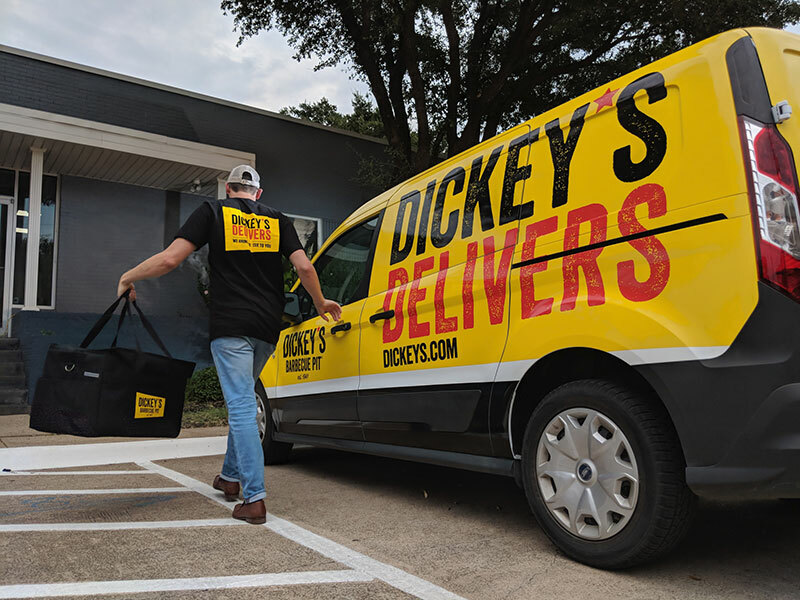 Dickey's locations across the nation offer a variety of delivery services ranging between partnerships with third party delivery vendors such as GrubHub, DoorDash and UberEats as well as offering direct delivery straight from the location itself. Guests can order Dickey's delivery online at dickeys.com or through the Dickey's App that is now available for both Apple and Android users.